Corporate, Enterprise, Government, and SMB. 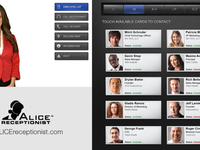 Any company or agency of any size can use ALICE Receptionist. ALICE Receptionist Reviews Recently Reviewed! Pros: Easy to use and provides a positive first impression of the company without the need to hire and train the right person. Also, since it doesn't need breaks, vacations, or sick time, it is always there to great your guests. Cons: While we really like the idea of the system being triggered by motion, unfortunately our employees go past the system many times everyday triggering it. As a result, we turned off that feature. Also, be aware of ADA accessibility requirements. Overall: Alice is a virtual receptionist system that eliminates the need to have somebody watch the front door for visitors. In our offices, we don't have a lot of visitors and by nature, receptionists are people who like to communicate with others. Unfortunately, the design of our office space separates them from everybody else, so over time, they leave their desks more and more. Whether the time they are away from the front is warranted or not, the door is left unattended which is both a service and security issue. Recommendations to other buyers: Great solution for providing a receptionist without the cost and other issues of having a person actually sitting at the front desk. Just make sure you address ADA accessibility requirements. 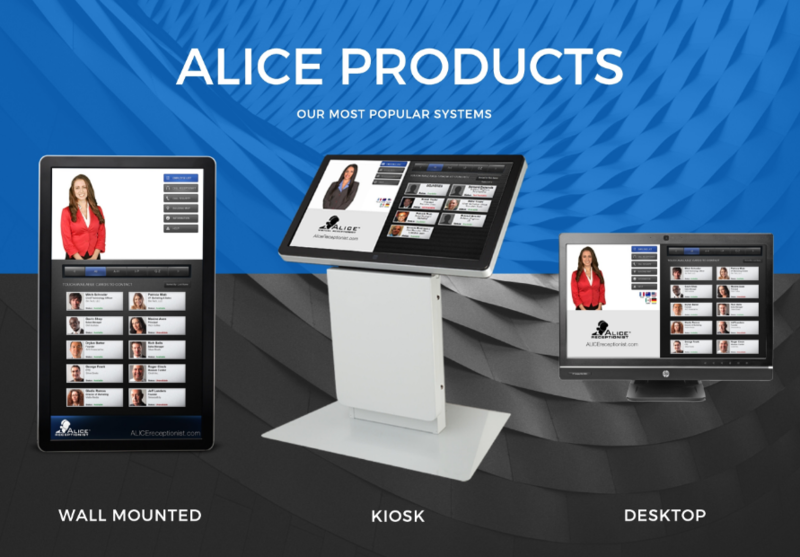 Pros: Alice receptionist is just what it claims to be, it is refreshing to buy a product that does what it claims without a lot of add ons required to get the functionality listed in the marketing info. Cons: She tends to hang on updates from time to time. Not a huge deal but I have to endure the "cute" comments about waking Alice back up. Overall: Alice has very neatly replaced the live receptionist we lost in the 2008 crash. We went a couple years with a note and a phone but Alice is a much more engaging solution and we have gotten quite a few compliments from visitors. Pros: Setup easy. Making necessary adjustments is made easy by their great tech support. Cons: Didn't like the custom hardware as much. We switched the main unit to a Dell micro PC so in the event of a hardware failure, replacement should be easy. 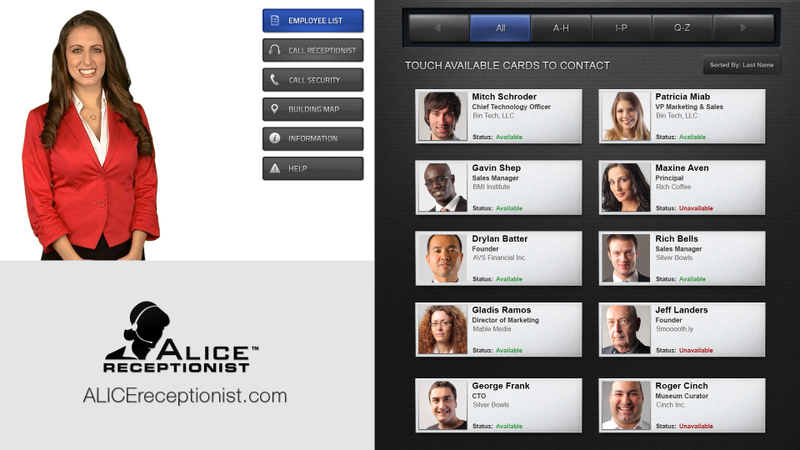 Overall: Using ALICE at Tozour has eliminated the need for a human receptionist. Pros: I love that we do not have to have someone staff the front desk which would take time away form other work that could be done. I also like that guests can reach their point of contact directly. Cons: Occasionally it freezes but a quick restart usually gets it moving again. Cons: there isn't anything i can think of that could be a con of this software. Pros: The Alice software works well. We are able to customize the screens to show guests what we want. Cons: The touchscreen system itself ages quickly, we find ourselves rebooting the system very frequently. Overall: overall, we find Alice quite helpful to our guests. Pros: When working it did its job effectively and efficiently. It really does replace your front desk. Cons: The maintenance on this product is a it tricky and may require some external help. Overall: Fantastic device, reliable, always cheerful, and a delight to use. Efficiently helps visitors with reaching the person they come to see. Cons: The fact that alice never changes you can change here language but there is no Holiday Alice others have mention that Alice is behind a blank white background it would be interesting to see her change with the seasons. Overall: This has reduced the time our receptionists interact with guests. We actually have reporting available for our visitor login now. Pros: This software easily replaces a front desk. It is very simple to use. Cons: When its not working tech support is a must. Our support team is always happy to help with any issues that arise. Thank you for your review and customer loyalty! Pros: Great support. Setup everything for us and checks in. Cons: Manual updates and no wireless option at the time. Overall: Been 2 years now and still going strong. Pros: The ease of use and administration, very customizable. Overall: This company is awesome there customer service is top notch. 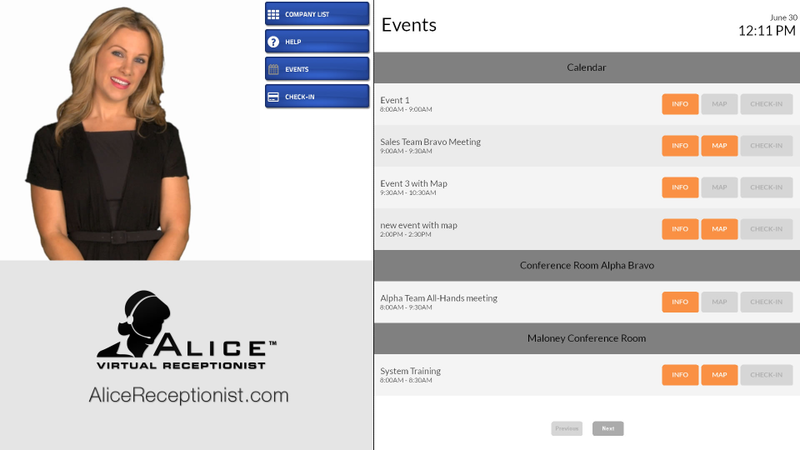 ALICE Receptionist - 5 STARS! Pros: Works without needing much attention. ALICE never takes a sick day and doesn't complain about needing higher pay or more vacation time. Always greets everyone with a smile. Cons: Crashes occasionally and has to be restarted, but even this isn't a big deal. Overall: Exactly what we were looking for. Very easy to set-up, great support; meets all of our operational needs. Recommendations to other buyers: If you're looking to avoid hiring a full-time receptionist, as we were, this is absolutely the way to go. Pros: It works. Easy to configure, lots of options. Up-time of service is great. Cons: It runs on Windows... Every couple of months it needs a reboot. Overall: We reconfigured our space and the elevator dumps into a locked vestibule where nobody sits. 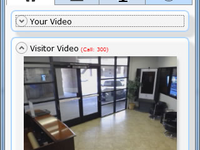 Visitors can easily call our receptionist with the tap of a button and be let in. It's great to hear that ALICE is easy to use! Thank you for your review! 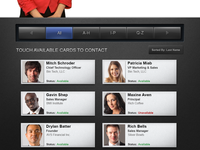 Pros: There's a lot of features like being able to display a web page, meetings, video and pictures. It's very interractive and the cloud-based setup it relatively easy. We had a lot of support for the initial setup and for all the questions we could have along the way. Cons: So far, we didn't find any. We had some issues with some menus translation but we had help with Alice support to make it work just fine. Overall: We installed the product in our main building entrance to help visitors since we have multiple tenants. The system is very easy to use, all the visitors can reach their party quickly and don't have to knock or ask their way inside the building. Recommendations to other buyers: It's a good idea to put the system behind a firewall since it's a Windows PC working behind. We are sorry that your experience has not been exceptional. We do not have customers reporting issues like you are stating. We also have no reported issues with our customer support team. We would love the opportunity to make your experience better. Please feel free to contact the ALICE support team to address what issues you are experiencing. Pros: Ability to contact and Overall other employees. The fact that it accommodates many languages. Camera aspect. Cons: It is slow, basically Overall just a pc flipped sideways. Does not have a function to lock and unlock doors. Would be helpful f you had the option to swivel the screen. Overall: Overall I don't feel like Alice is getting used to its full potential. Many people by pass the service and head straight into the office. How can we encourage more people to use her as a check-in point. Thank you for your review! 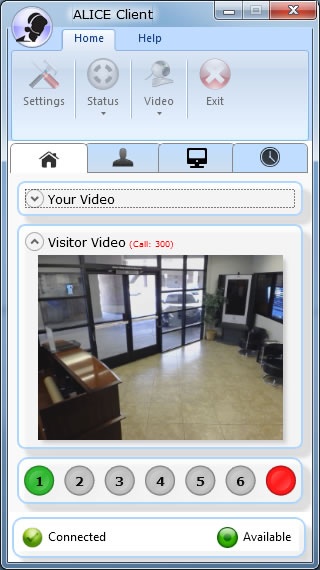 If you contact Support@ALICEreceptionist.com, we can take a look into your unit's speed and motion detection. We would love for ALICE to meet all your virtual receptionist needs. Pros: Easy to call phones from interface. Easy to find users in directory list. Cons: Old looking interface. No updates or new functionallity in years. Needs heavy CPU and GPU to be used, which forces you to buy expensive hardware and limited hardware possibilites. Overall: Using it as a interactive door bell and works OK for that purpose. I would have hoped nicer and smoother interface (no updates in 3 years). The system "Envoy" is taking over and we are looking at exchanging Alice because of unmodern interface and also too expensive in comparsion. Thank you for your review of ALICE Receptionist. We have had some new updates and the interface is customize-able. Please reach out to our support team with any requests you might have for updating the UI. 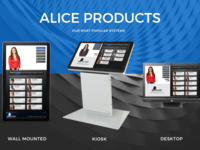 Pros: Alice can be customized to meet virtually any need. Cons: Runs on older version of Windows, occasionally crashes and for security reasons we had to set it up on a separate VLAN. Overall: Solid company, and solid support. Thank you for your review! We do run on the newest version of Windows. If you need help updating, please contact our support team. Thank you for the glowing review! We are happy to know you find the software easy to use and configure! Pros: What I like most is the advanced visitor management this software offers. It's the most advanced in my opinion! Cons: The cost isn't bad, but it could definitely be better. Cons: Getting the customised files in the right place. Thank you for your review! Our support team is always happy to help get everything set up perfectly for our customers. Please let us know if we can help.